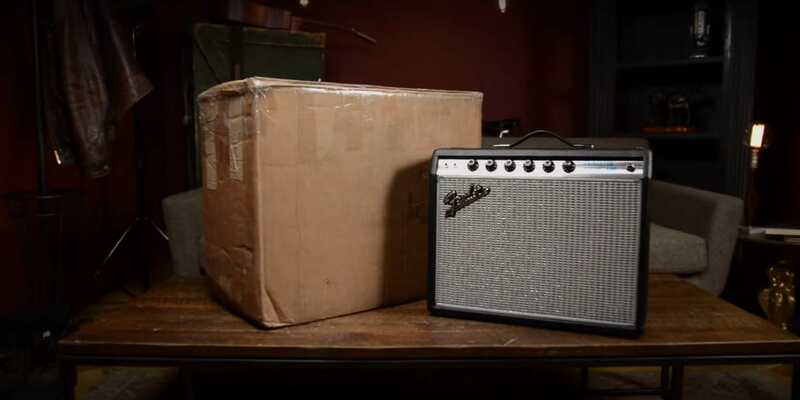 Shipping an amp or a guitar in a case is like putting a square peg in a square hole. Right size box, plenty of padding, de-tubed and de-tuned, done. But shipping an entire drum set? It's a thought that seems like a puzzle at best and a nightmare at worst, leading some people to sell their drums locally and give up thousands of potential buyers. 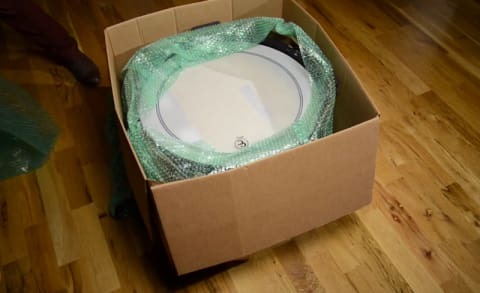 We've provided a guide to help you take the mystery and risk out of shipping your drums so you can sell them with confidence to the right buyer, regardless of where he or she may live. This video and description is for a simple three-piece kit with a kick, rack tom and floor tom, but the same steps apply to larger kits as well. The key space-saving trick here is packing a tom inside your kick drum. 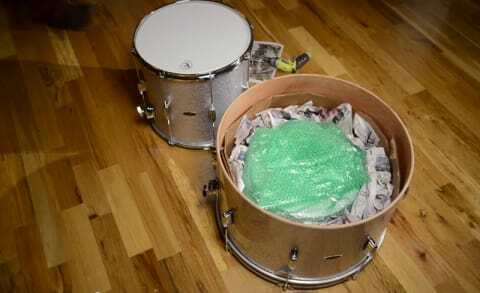 You'll line the inside and outside of the kick with cardboard and fill it with plenty of newspaper and bubble wrap to prevent the tom from shifting inside the kick drum. The kick drum is kept from shifting inside the box with foam slabs, which also protect the heads. Hardware is wrapped generously in bubble wrap and taped around and on both ends. The same basic treatment is given to the second drum, but without another drum inside. Read our play-by-play breakdown below. Start by removing the legs from your drums and breaking down the rack tom stand. Put the legs and stand off to the side for now. Put the drums on their sides so they are easier to work with. Remove one of the bass drum heads and put it somewhere where it won't get damaged. Line the inside of the kick drum with cardboard that you've cut to match the kick drum's depth. You can fold it every six inches or so by stepping on it and bending. Wrap the rack tom in newspaper first and then with bubble wrap. Tape the bubble wrap around the drum and on both ends. Line the bottom of the inside of the kick drum with cardboard and bubble wrap to protect the other head. Place the wrapped rack tom inside the kick drum. Fill the gaps with plenty of crumpled newspaper until the rack tom is firmly secured and won't move. Place cardboard scraps on top of the rack tom and put the kick drum head back on. If you are using a power tool as shown in the video, be careful not to over-torque the nuts. Start by wrapping the bass drum in a shell of scrap cardboard. Bubble wrap around this and tape it securely. 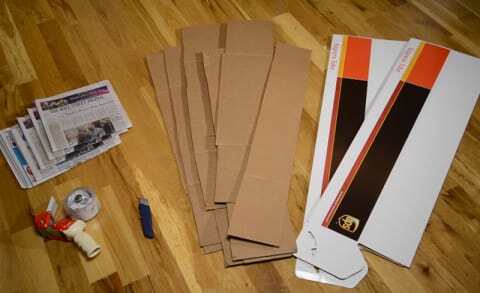 Place an additional layer of cardboard on the bottom of the box. This is going to keep the box sturdy and help prevent piercing if the box is set down on an uneven surface. Place the wrapped kick drum in the box. Fill all the available space in the box with foam slabs first on each side and newspaper in between so that nothing can move around. Wrap the rack tom legs in bubble wrap and tape all around, including the ends. If it cannot fit with one of the spaces on the side of the drum, use a separate box. Do not try to pack the legs on top of kick drum. This is a recipe for a broken head. Place additional bubble wrap on top of the head. Then use more cardboard scraps to create another layer on top of the kick drum. If you realize that your box is significantly taller than your drum (bad) at this point, make a mark about 2" above the top of the drum on the inside of the box. You can cut the corners to this mark and fold over the sides to change the height of the box. You want it as snug as possible. Close the box. When taping, hit all sides and be liberal with it. Remember, you want the packages to stay shut no matter what. Give it the old shake test and listen to make sure nothing is moving around. Once that's done you can slap a label on it and mail it out! So you’ve listed an amp to sell on Reverb.com and then BOOM, it’s sold! Whats next? You’ve gotta pack it up and ship it out! Here is our how to guide on shipping an amplifier as safely and securely as possible. Nervous about shipping a guitar? Don't be. Shipping a guitar, bass or other instrument is a lot easier than you probably think. 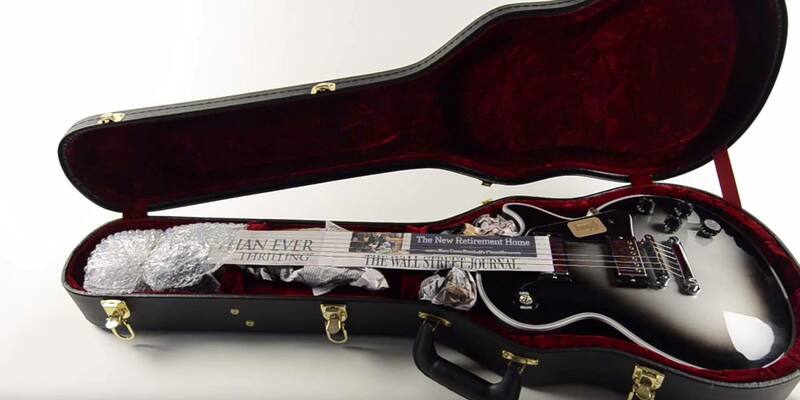 Here are our recommendations on how to pack and ship a guitar as safely and securely as possible. You'll repeat the same sort of newspaper/bubble wrap membrane that you used around the rack tom with the floor tom. Add a layer of cardboard to the bottom of the box. Use foam slabs to prevent shifting on each side, fill the gaps with crumpled paper, and top it off with another layer of bubble wrap and cardboard. Tape generously as before. While the hardware (legs, stands, etc) can be packed in available spaces with the drums, this can create the additional risk of a heavy metal objects shifting during transit and damaging them. We recommend shipping the hardware separately, even though it may create an extra item to ship. At the the end of the day, the small extra cost of doing this outweighs the frustration and hassle of trying to refund or repair a broken set upon arrival.